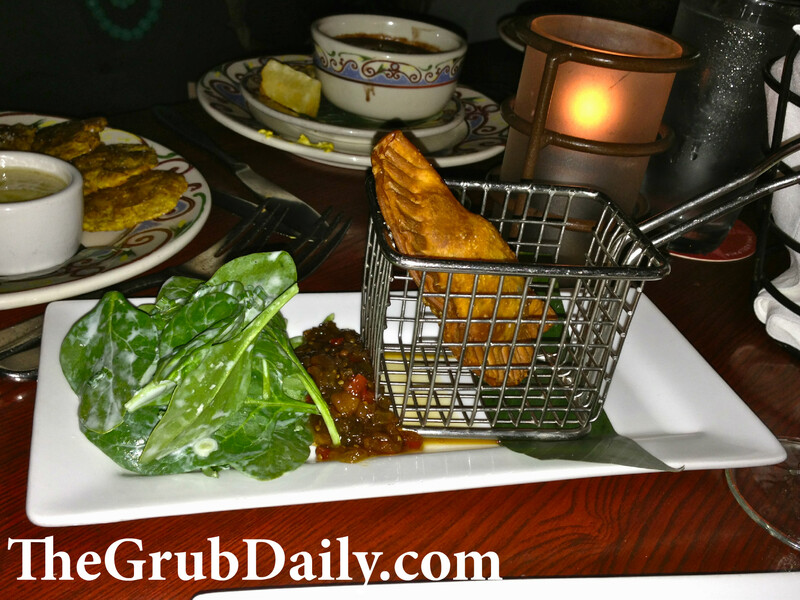 This past month featured Restaurant Week here in Philadelphia, and I had the opportunity to check out Cuba Libre with a couple of friends. 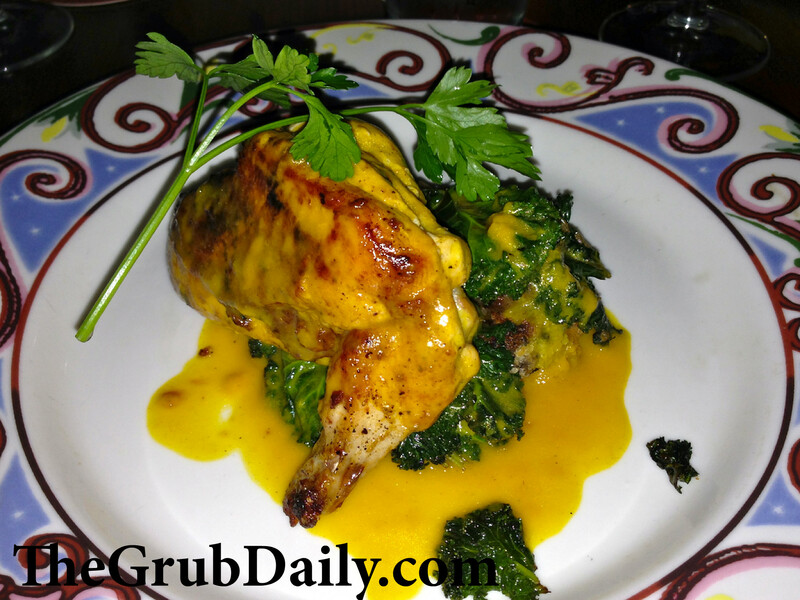 The beauty about restaurant week is that you get to sample multiple courses from a prix fixe menu at a reduced price. In this case, we were each allowed to choose two appetizers, one entree, and one dessert for $35. But before we even had the opportunity to look at the food menu, we were distracted by the longwinded cocktail list, which includes 14 uniquely flavored mojitos! Feeling pressured to try at least one of these specialty cocktails, we decide to order the Classic Mojito and sample it amongst the table. The mojito was fabulous but definitely not something that should be in conjunction with a heavy meal, and so we opted for a pitcher of Red Sangria to drink with our dinner ($37.50 and we got 8 glasses from it). 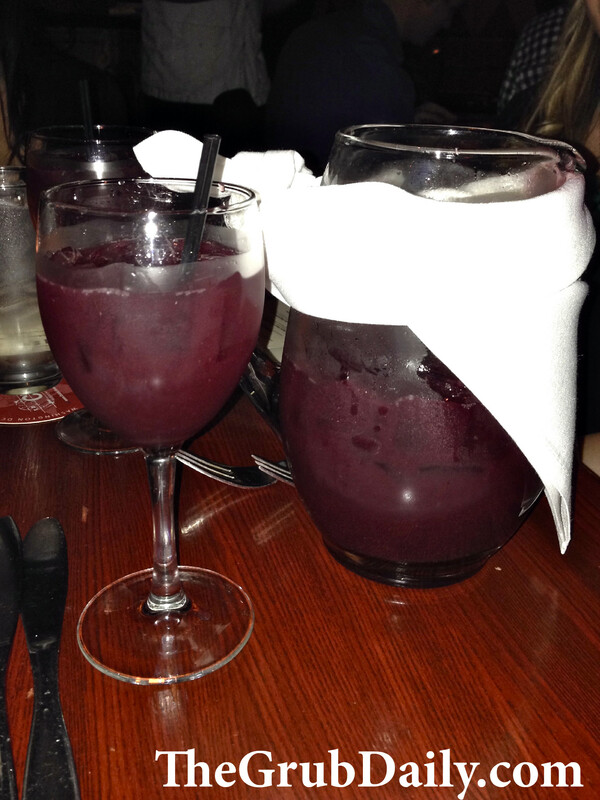 The sangria was good, but nothing extraordinary (it is also not very strong, as 3 full glasses did not get my 100-lb self even remotely tipsy!). But onto the food, which is what we came for in the first place! 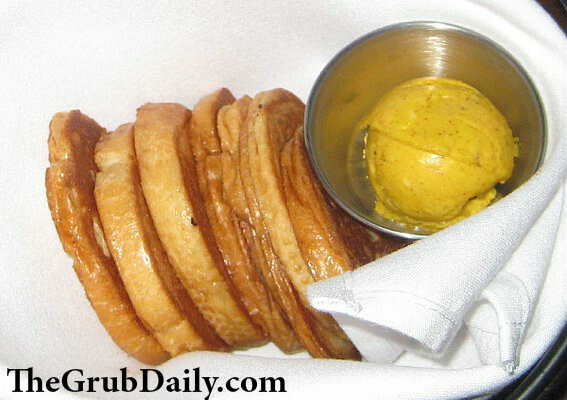 To start, our server brought us a nice basket of bread with an o-u-t-r-a-g-e-o-u-s mango butter. This light, almost whipped, butter transformed the bread into a sweet french toast-like dessert. Honestly, the flavored butter was probably my favorite item brought to the table all evening. It was memorable and unique. For my first appetizer, I ordered the Pulpo con Berenjenas, which is a truffle and citrus marinated baby octopus that is then grilled and served atop a Haitian eggplant salad. 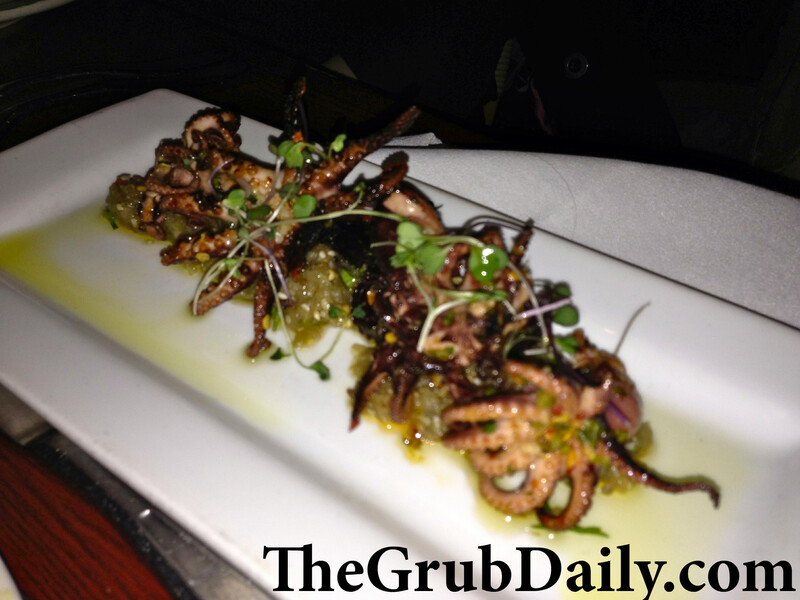 The octopus was cooked perfectly and wasn’t rubbery in the least bit. The flavors were all well-balanced and the portion size was perfect, leaving me wanting one more forkful. The Eight Hour Guava BBQ Ribs, on the other hand, were not as good as I had hoped they would be. 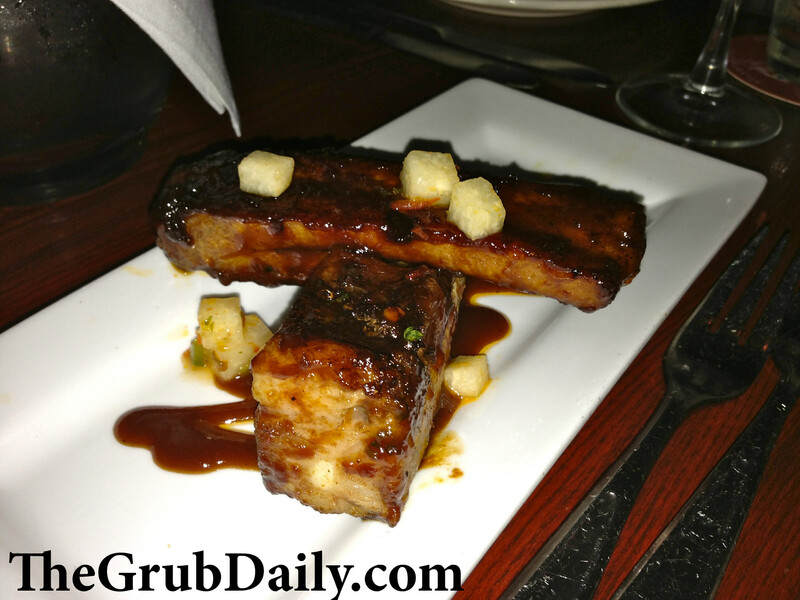 I had high expectations for these “award winning” St. Louis cut pork ribs, glazed in a Guava BBQ Sauce with jicama-Sambal salad, but they were VERY fatty with hardly any meat at all. Very disappointing. Sad face. 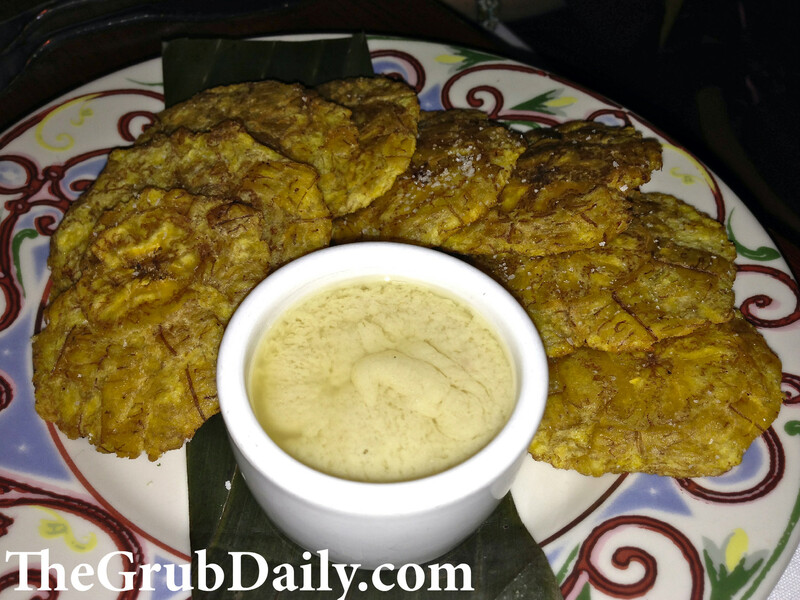 as well as the Sopa de Frijoles Negros, which was sweet rather than spicy; and finally the signature Cuban Tostones, which are twice-fried green plantains with a garlic-mojo dipping sauce. I thought the tostones and mojo sauce were both bland compared to those I’ve had at other Cuban restaurants. Sensing that the Cuban food not up to par with what I had grown accustomed to in Miami, I decided to deviate from a traditional Cuban dish for my entree. Instead, I ordered El Pollo del Solar, which is a lime-garlic marinated chicken breast with caramelized onions & steamed kale, served with a black bean croqueta and a sweet and sour mango gravy. Technically, the chicken was cooked perfectly–juicy and succulent, but flavor-wise the dish was really lacking. I didn’t think the chicken was well seasoned, in fact I couldn’t detect any garlic notes and the black bean croqueta was very, very dry. Not even the mango gravy could restore it’s moisture content. The kale on the other hand, was very soft and delicious, as well as the mango gravy that bathed it. 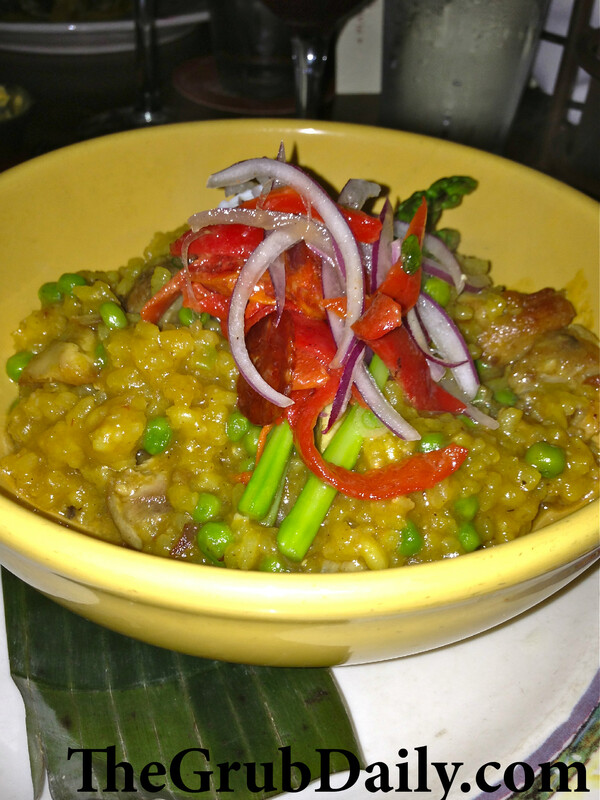 Everyone else at the table ordered the traditional Arroz Con Pollo, which is saffron-scented rice, combined with boneless chicken thighs, wild mushrooms, green peas, Manzanilla olives and a hard-boiled egg. Garnishing the dish was an asparagus, palacio chorizo, and roasted Piquillo pepper salad, finished with a splash of Estrella Damm beer. The dish was enormous, and had beautiful presentation with the bright yellow color of the saffron, and the contrasting green of the peas and asparagus. I stole a couple of forkfuls from my friend Liz, and enjoyed them thoroughly, although it is not a traditional Cuban Arroz con Pollo. It was much lighter but very tasty in a unique way. For dessert, I (predictably) ordered the Tres Leches de Caramelo, which is a vanilla sponge cake soaked in three-dulce de leche flavored milks with a mocha moose. I am a tres leches connoisseur, and this one was right up to par. 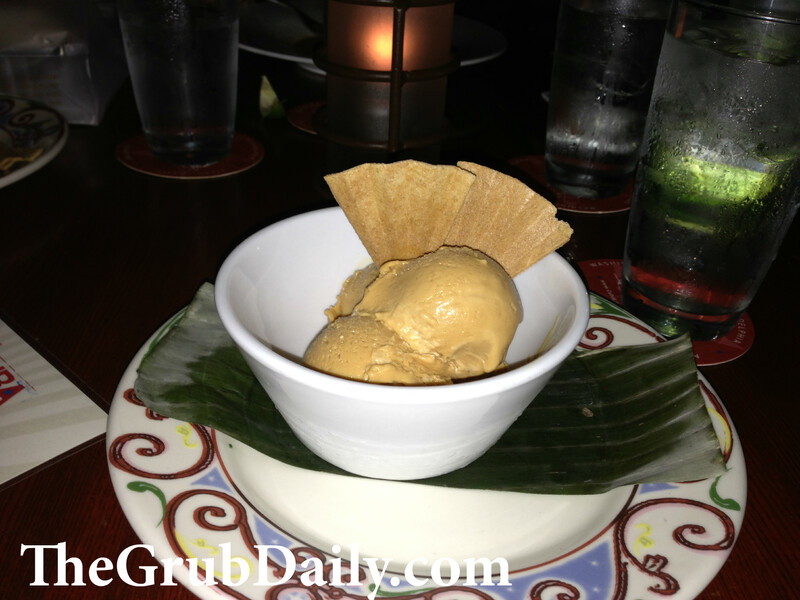 The other dessert that was ordered was the Dulce de Leche Ice Cream. Ice cream is ice cream. It was good! Overall, I’m not in a hurry to go back to Cuba Libre for dinner. But, I am very interested in going back for a night of salsa dancing and mojitos (and maybe some bread with mango butter?!?!). 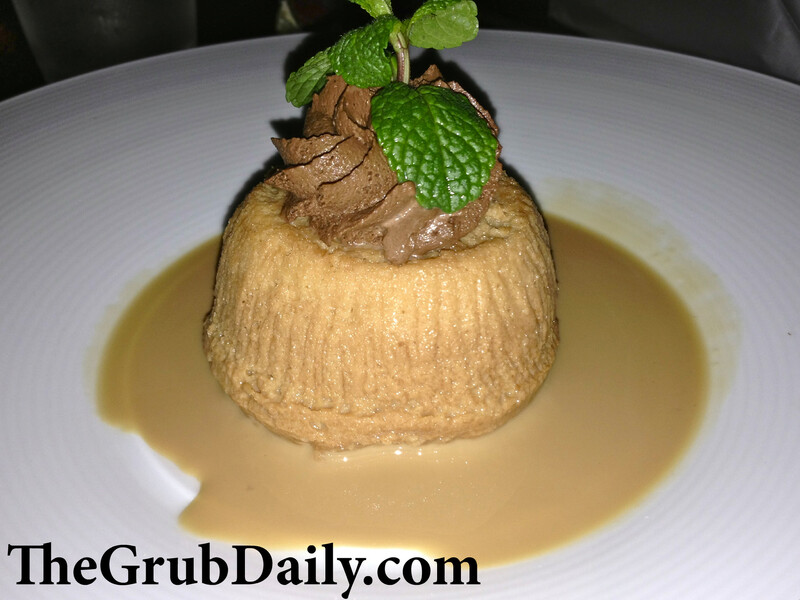 Having spent 5 years living in Miami, I got accustomed to traditional Cuban food that was priced insanely cheap. This being said, I find it difficult to spend an exorbitant amount of money on Cuban cuisine that doesn’t satisfy my craving for the classic dishes. 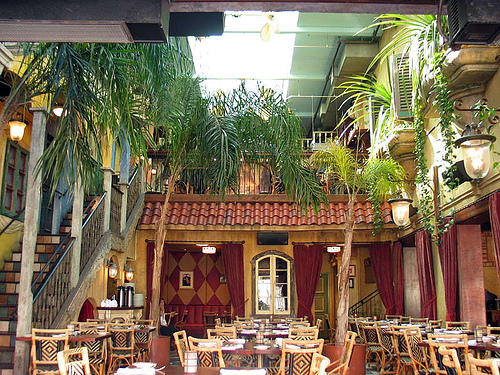 The restaurant atmosphere was very cool though and the mojitos are worth the trip.